Visit us in Dripping Springs. 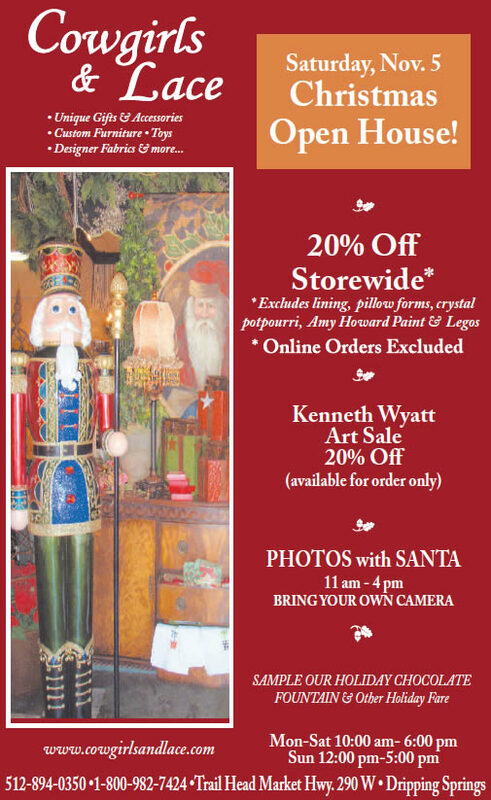 Join us this year and get a jump start on your holiday shopping! We’ll be serving finger foods (along with our always popular Chocolate Fountain). *Excludes Pillow Forms, Lining, Crystal Potpourri, Amy Howard Paints, Legos, and any online orders.